Low prices. OrangeSmile.com offers car hire service in Vietnam on the lowest-rate-guarantee basis, since we work with car suppliers directly. For your search criteria in Vietnam, we always select and show the best rental offers. The car reservation process consists of 3 simple steps: (1) search for available cars for your dates in Vietnam; (2) select your car type; and (3) fill in the booking forms. Once the reservation is completed, you will receive a confirmation voucher to your email address. During the booking process, please check your rental conditions. To pick up your car at the rental point in Vietnam, you need to provide our confirmation voucher, your driving license and a valid credit card. The final payment is normally carried out at the pick-up point. Our car hire points in Vietnam accept VISA, MasterCard, etc - please check your rental conditions. At the pick-up point, please read the handling manual and check the car for present defects. OrangeSmile.com wishes you a pleasant journey to Vietnam! The car hire reservation system OrangeSmile.com allows renting a vehicle in Vietnam within 10 minutes. Our largest database of car suppliers enables us to provide you a rental car in Vietnam at the cheapest rate ever possible. At rental locations in Vietnam we offer the following car sizes: mini, compact, economy, standard, premium and luxury. The following car types are available in Vietnam: Sedan, Hatchback, Jeep, Cabriolet, Coupe, Minivan and Minibus. Vietnam is a perfect country for those who want to feel real Asia. Even though big cities of the country rapidly transform into modern metropolises, travelers will still find there stunning exotic nature, rice fields, traditional water markets, gorgeous highlands and motorcycles used to transport ripe fruit and vegetables. Hanoi is a busting modern city, but traditions are greatly valued there. Start your observation of the city from the Old Quarter as the majority of sights, such as Bach Ma Temple and Hoan Kiem Lake, are located there. Ho Chi Minh City, which is also known as Saigon, is the second largest city in Vietnam and another popular destination. In Saigon, old palaces and pagodas border with modern skyscrapers, making the city look very original. The most well-known places of interest there include Giac Lam Pagoda and the Reunification Palace. During your stay in Vietnam, don’t forget to include Hoi An in your “must-visit” list. This old city is sometimes compared with Venice because of its long canals. The city of Hue, which once was the imperial town, is rich in architectural landmarks, among which travelers are particularly recommended to visit the Tombs of Emperors and the Citadel. After observing grandiose buildings, enjoy some walk along the bank of the Perfume River. Any description of Vietnam would not be complete without mentioning its nature attractions. Ha Long Bay is one of the most famous places in Vietnam. Thousands of tourists visit it every year to enjoy the view of jungles and limestone pillars. If you want to explore rural Vietnam, head to the Muong Hoa valley, where rice fields are mixed with bamboo groves. Phong Nha-Ke Bang National Park, which is added to the list of UNESCO World Heritage Sites, is a spectacular place with picturesque grottos, large caves with stalactites and stalagmites, underground lakes and hidden cave beaches. Museums of Vietnam offer large collections of precious items dedicated to the culture and history of this beautiful country. The Vietnam Museum of Ethnology in Hanoi exhibits a collection of early Vietnamese tribes, while the Fine Arts Museum offers visitors to see collections of wooden items, ceramics and stone carvings. 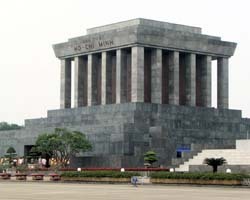 In Ho Chi Minh City travelers are recommended to attend the War Remnants Museum, the Fine History Museum and the HCMC Museum. Keep rental documents handy during the entire rental period in Vietnam, and do not leave them in the car or at the hotel. When parking your car in Vietnam, always take all your belongings with you – do not give thieves a reason to get into your vehicle.